The project, called “Snap Originals,” will start with 12 shows featuring a mix of scripted series and reality content. Snap, the parent company of Snapchat, unveiled a series of original shows on Wednesday as it continues to push into original content amid broader challenges around user growth and advertising revenue. Snapchat has previously looked to partner with media companies to bring original shows and news content into its app, primarily through its Discover section, which launched in 2015. The shows will also have an interactive aspect. The announcement comes as Snapchat has struggled to recover from a redesign that resulted in backlash from users and concern from investors for the company’s future. On Wednesday, Snapchat shares hit a record low, trading down 5 percent at $6.64 per share. Snapchat went public in March 2017 at $17 per share. 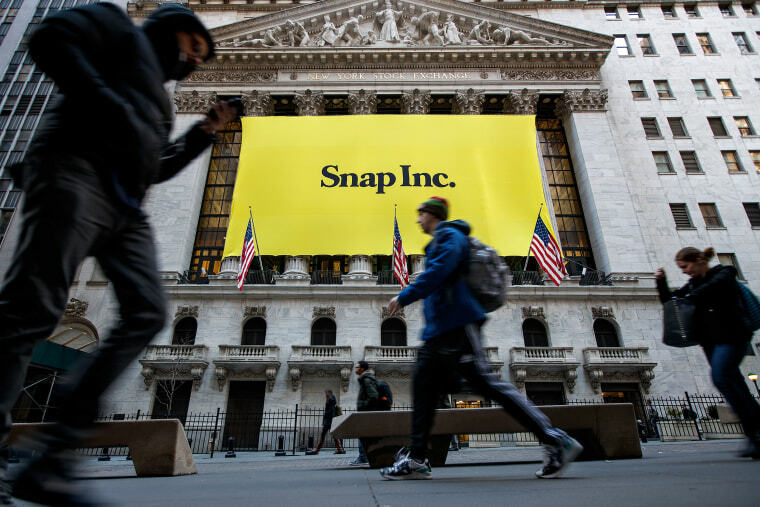 “The clock is certainly ticking for Snap to turn its business around,” wrote Michael Nathanson, senior research analyst at research firm MoffettNathanson, in an analyst note. Snap has also had to endure stagnant user growth combined with aggressive competition from Facebook-owned Instagram, which leapfrogged Snap with a copycat version of its Stories feature. The company has also recently endued the departure of several major executives including its chief financial officer, chief strategy officer and head of communications.